The friend’s mum made a recommendation for beef noodles and snow ice so we were determined to tick them off our to-do list during our remaining days in taipei. We cabbed to Yong Kang Street because the subway’s quite a distance away. 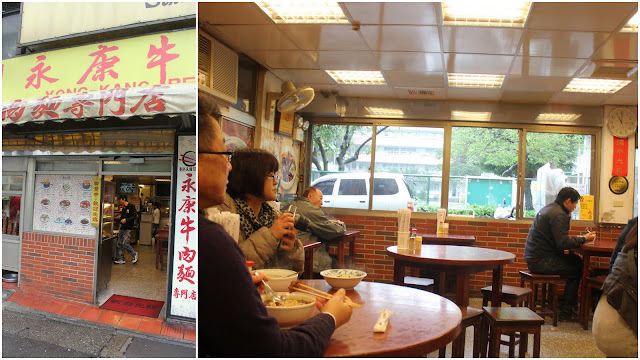 According to the taxi driver, yong kang street is famous for their beef noodles, so you’ll find a number of shops there selling the exact same thing. 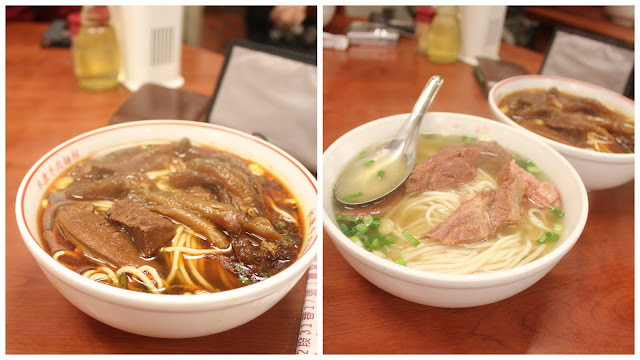 Our destination, Yong Kang Beef noodles, is one of the more celebrated ones with a history dating back to 1963. The beef had a higher proportion of lean meat, but it was braised till tender without losing its ‘beefiness’. As you can see the portion is quite huge. Most of us couldn’t finish the noodles because it was so filling. There’s a pot of vegetables on the table too. I didn’t realise till the end but I imagine the salty veggies (something like the hokkian giam cai) would have gone really well with the noodles. After your meal, head over to ice monster for dessert. 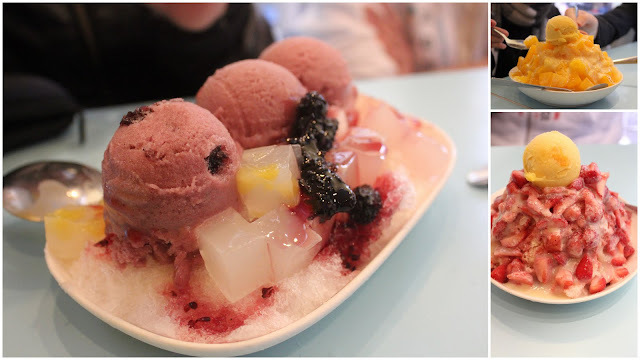 I enjoyed all the snow ices, though my favourite was the mulberry sorbet with lychee ice. It might be a little sweet for some but it was pretty all right for me- I have a high threshold for sugar afterall.